Testing is important before any launch – be it for a product, a website, a webpage, a TV show or even a game. 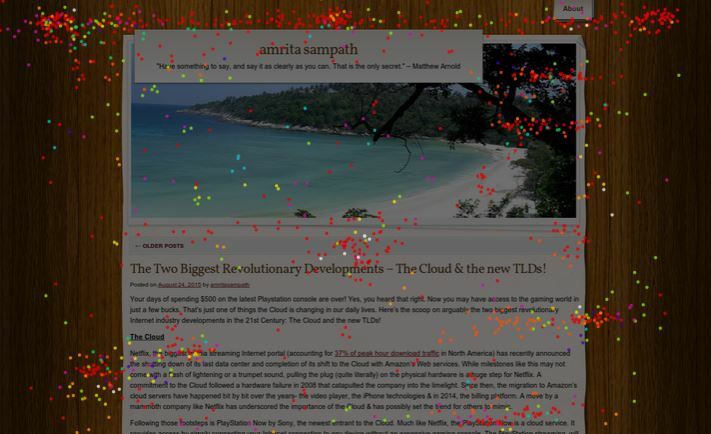 Testing for a webpage allows you to find loopholes, to see if the goal of the page is achieved easily, to test if navigation is understood etc. If you’re a developer, you’ve probably done testing umpteen times in the past. However, despite the usual testing, you may find that conversions, registrations or subscriptions may still be low on a website. This brings into question the type of testing. It is a user-centric testing designed to evaluate the product by testing it on users. User testing is simply real customers or users manually going through your website, the navigation, the buyflow etc. to conclude about the ease and experience of the interface. A good starting point is to use your existing customer base to test your new site while sending them a personal invitation email. In this step, focus on creating the script i.e. what you want to tell the user. You want to ensure you give him the right instructions without being too specific. This means, if you had to tell him to head to the navigation, click Men under the navigation and look for watches, he’s going to follow your instructions exactly which defeats the purpose of him locating the product he wants by himself & testing navigation. Instead, the alternate instruction you could give him would be “Buy a watch and make a purchase with this coupon”. This allows you to observe his understanding of your website buyflow all on his own. While writing out / rehearsing your instructions, it’s good to keep in mind common user goals like purchase, sign up, sign in and so on. Write out 5-7 such tasks you want the user to complete. Once you’ve got your script in place, welcome your user and explain things to him – state the purpose of the testing and make him feel relaxed – all of this without loading your website yet. Let him know he can be blunt and totally honest with his observations. User testing usually takes place with one user at a time. This allows you to test for problems that you observe with the first user and try and fix with the consecutive users. For example, User 1 may be unable to find the Buy option that prevents him from making a purchase. This allows you to ask questions and identify that the problem is indeed the Buy button. You could then theorise for a solution which could be to shift the position of the button, increase colour contrast for it or increase size of the button. This is the scientific method of going about testing. Lastly, once the testing is done and your subject has left, take a look at your results and observations. Before you get in User 2, implement your solution & make fixes. Once this is done, invite User 2 to go through the buyflow and make note if he is facing the same issue or if the “edits” to the design actually allowed him to make a purchase much faster / more easily. This concluding step is crucial. It helps you fix loopholes and identify if the goal of the website is being achieved easily. Repeat the identify – fix – test cycle till you’re satisfied you’ve nailed everything on your website. Consider test fatigue: Test fatigue is likely after 12-15 minutes. Don’t push your subject longer than this. Ensure tasks are linear: This means, avoid asking your user to evaluate the homepage after he’s reached the checkout page. Run a pilot test: Do this to eliminate grammar errors in your script, confusing instructions etc. While physical user testing can produce great results, it’s not always the most doable option especially with time and tester limitations. A great alternative to the physical user testing is online user testing. So, how does online user testing prep differ from physical user testing? UserTesting.com: This site gives you access to genuine subjects according to your specifications to fit your target audience. You can get access to videos with audio of users testing your site / app. You can even get results in just an hour! Loop11: This tool allows you to create customised test templates with tasks, objectives and usability questions. You can then source testers through different sources like pop-ups. 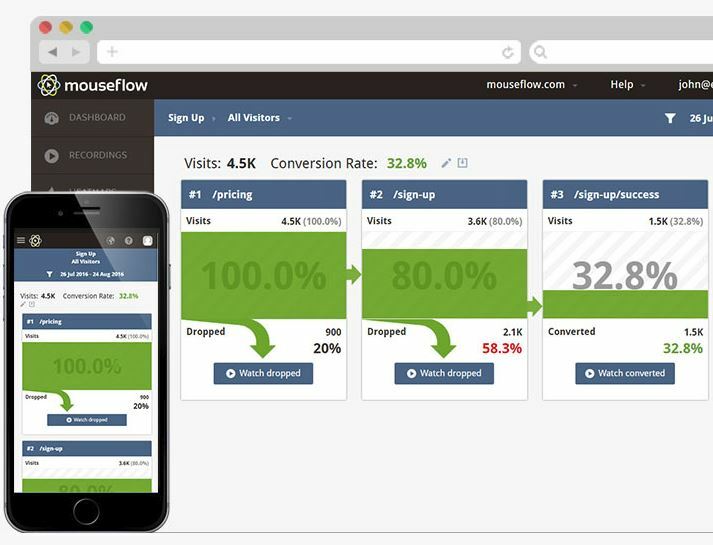 Mouseflow: This analytics tool gives you insights into your visitor’s experience through recordings and trends that track user activity. You can analyse a visitor’s activity through heat maps, conversion funnels, recorded sessions, form analytics etc. Think you’re ready to begin testing? Get started! Leave me a comment below if you need me to be a test subject! Good luck. If you’d like to write for us, leave us a comment & we’ll get in touch with you!